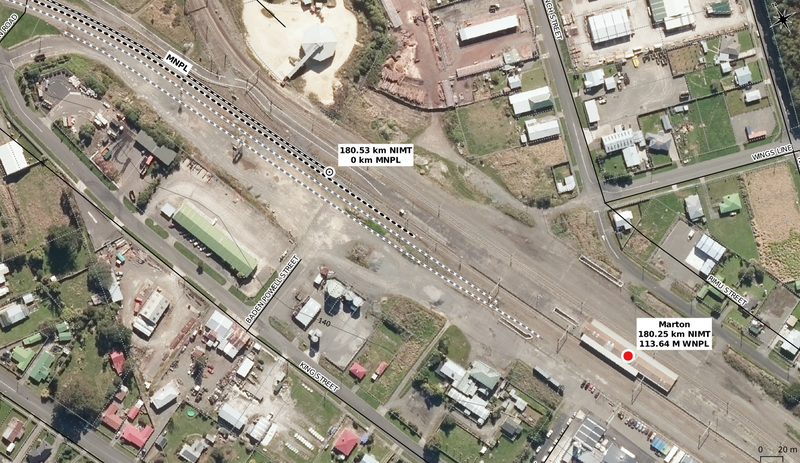 One of the features of NZ Rail Maps is the decision to only use Working Timetable mileages or kilometrages instead of other sources that may not be accurate. The Quail Atlas is the obvious source of distances that have been shown to be inaccurate. It would seem this is because, instead of digging up the new working timetables at the time of NZR metrication in 1974, the Quail publishers apparently performed their own metrication process, converting their mileages into the kilometre equivalent by direct conversion. The reason this differs from WTTs is that deviations and realignments would add and subtract distance and the existing pegs never get moved so the NZR / KR way of handling this is a long or short mile (or kilometre). So that is the first complication and my case of choosing the working timetable distance makes for some level of complexity because it can be in imperial measurement (miles) instead of km; so I have to put a conversion table into each published map volume. The second complexity to be addressed is that lines changed around, in the North Island mostly. The changes in the ECMT with sections being assigned and reassigned is well known, but for the areas I am working on at the moment, the NIMT was changed around a lot too. The original NIMT started in Auckland and ran down to Marton, where it joined onto what was then the Wellington to New Plymouth line. Hence the old tunnel numbers on the NIMT started from Auckland and the ones on Wellington-Marton section started from 1 at Wellington (originally on what is now the Johnsonville Line). Bridge numbers and mileposts worked the same. So I have been working on Marton-New Plymouth maps and will shortly publish the full maps for the section from Marton to Aramoho because that is a part of what I am doing, basic full maps for every part of NZ, alongside the detailed maps that are going to be of Nelson, Napier-Gisborne and Otago Central/Kingston Line. I looked at Marton and came up with, from the old WTT, Wellington-Palmerston North being 84 miles 79 chains and Palmerston North-Marton being 28 miles 52 chains, which when you add it up and convert to decimal miles puts Marton at 113.64 miles from Wellington so that will be shown (as WNPL) alongside its metric distance of 180.25 km on the NIMT, also from Wellington. Now a straight conversion of the mileage will show a discrepancy of a mile or two and that could be because of the Tawa Flat Deviation or it could be because of the Milson Deviation and I don't really know at this time. The difference is going to be seen with stations on the MNPL which will have an imperial distance shown for "WNPL" which is the distance from Wellington so they will run in sequence with Wellington-Marton imperial distances rather than the kilometres from Marton. And for some stations there will not be a metric distance if I can't get one from a WTT. I hope to get hold of a WTT for about 1975 sometime to be able to put in some of the now-closed stations' metric distances, otherwise I am having to use some of the other resources I have. 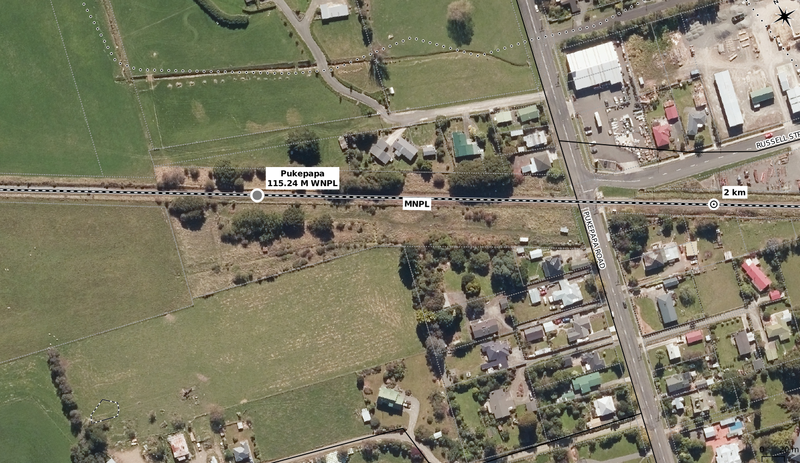 For example the first station up from Marton is Pukepapa, 1 miles 48 chains from Marton, which works out to be 115.24 miles from Wellington and that is the mileage for WNPL that will be shown next to Pukepapa's name. 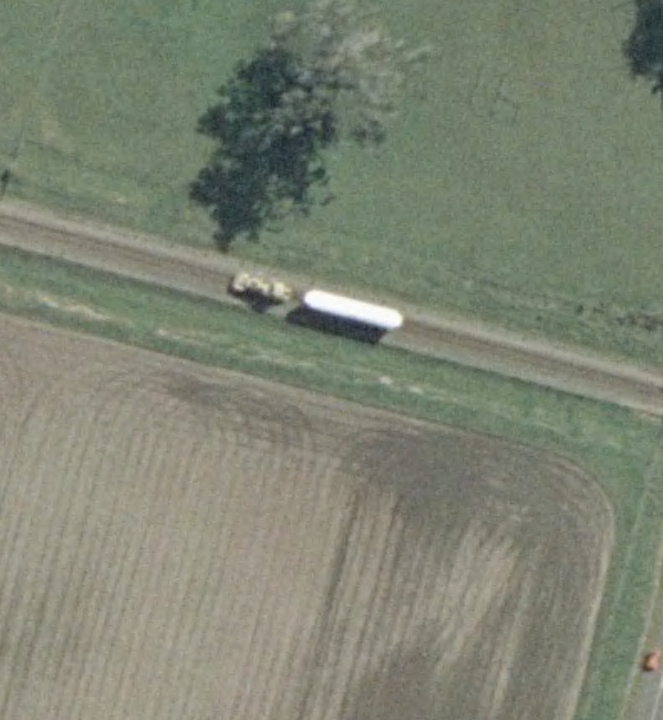 But we can see it is between the 2 and 3 km pegs on the map itself. The first map I looked at didn't show it but the second one did. 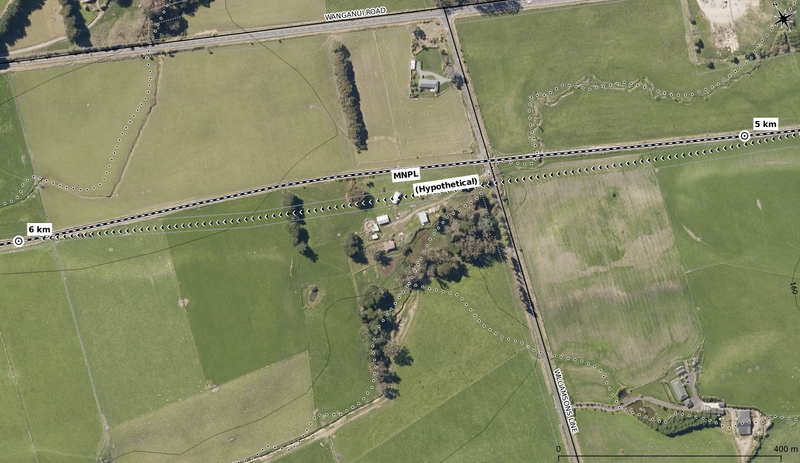 Marton, showing the station and the junction and start of the MNPL, or depending on your POV, the middle of the WNPL. Pukepapa, first station past Marton. It's 2008, and these are track machines near the 5 km peg. Probably a ballast regulator and tamper. There may have been a realignment between the 5 km and 6 km pegs. Probably there was a short steep grade that was worth eliminating.